Over the final months of 2018, I talked quite a bit here about dental health. Health and wellness in general were sort of a theme for me last year, in my real life and here on the blog, and taking care of my teeth/gums/mouth were a part of that. After talking to my dentist and reading all sorts of studies, I learned just how much dental health is connected to the health of the rest of our bodies, which prompted me to take my teeth and mouth health very seriously. Admittedly, the holidays were a time of indulgence for me (as they are for many), and I let my healthy eating habits and fitness routine slide in a big way. But it is important to me to continue the healthy journey I was on last year throughout 2019, and I’m starting to get back on track. I just cut out sugar again a couple of weeks ago, and have slowly begun to amp up exercise again as well. And while I’m happy to say that I continued to make mouth health a priority even when I was neglecting the rest, I’ve been looking for even more ways to keep my teeth in the best shape possible, inside and out. Enter charcoal. You’ve probably heard about activated charcoal for whitening teeth. It’s been pretty trendy recently, and as with anything that’s trendy, I definitely had my doubts. I had to try it though. And I was impressed by how well it worked, but turned off by the mess it left in my sink and in my mouth (and even under my nails). It was suggested that I try Crest 3D White Whitening Therapy with Charcoal toothpaste instead. I picked some up at Walmart, and you guys, it was a game changer. There was no mess, and I’ve been beyond pleased with the results. I’ll get into that more in a minute, but for now, I wanted to share some of the benefits to whitening your teeth with charcoal, from my own experience and from research I’ve done. 1. Charcoal can whiten surface stains without harsh chemicals. If you’re looking to whiten your teeth in a more natural way, charcoal is a great alternative to chemical treatments. 2. Charcoal is an affordable way to whiten. Getting your teeth whitened at your dentist’s office can be seriously pricey. 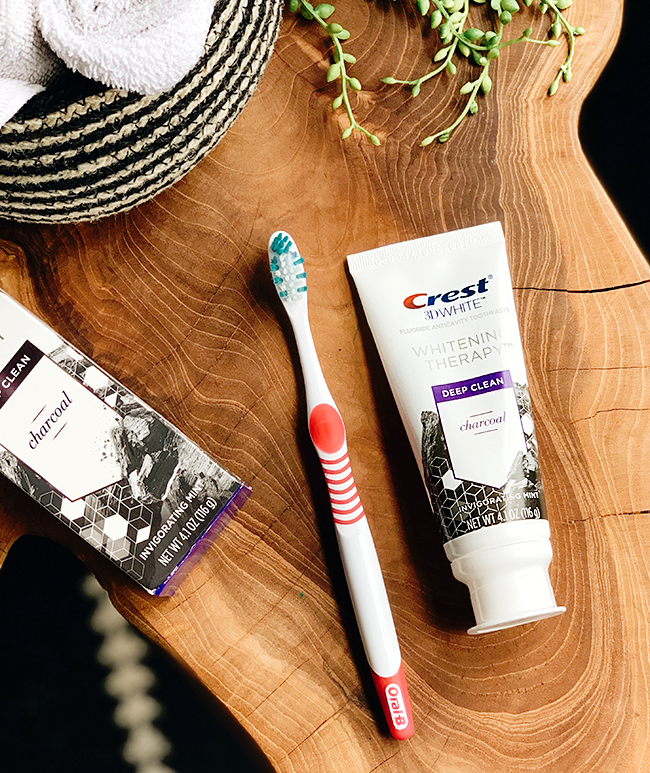 Using a charcoal toothpaste like Crest 3D White Whitening Therapy with Charcoal instead is an affordable way to remove surface stains at home, resulting in whiter teeth that don’t cost a fortune. 3. Charcoal has natural antibacterial properties. Charcoal can help remove bacteria from your teeth and mouth, resulting in a cleaner feeling and fresher breath. 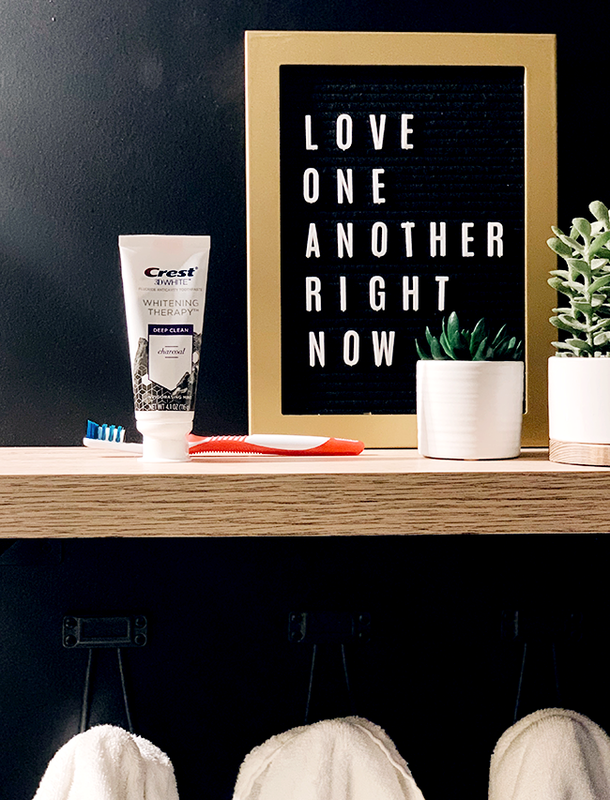 When combined with an invigorating mint flavor like in Crest 3D White Whitening Therapy with Charcoal toothpaste, my mouth feels the best it ever has. 4. 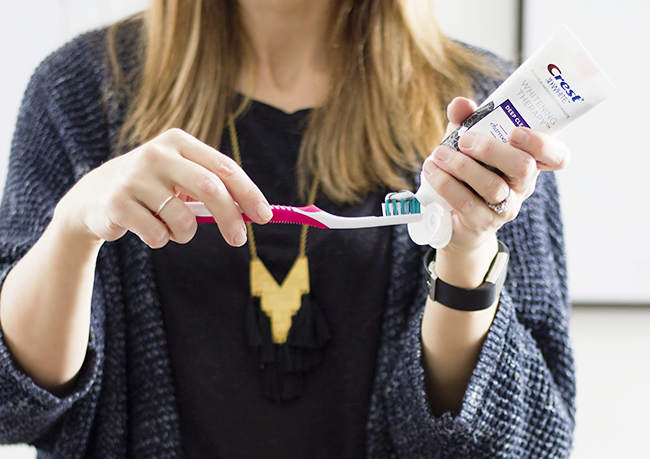 Charcoal toothpaste works quickly. 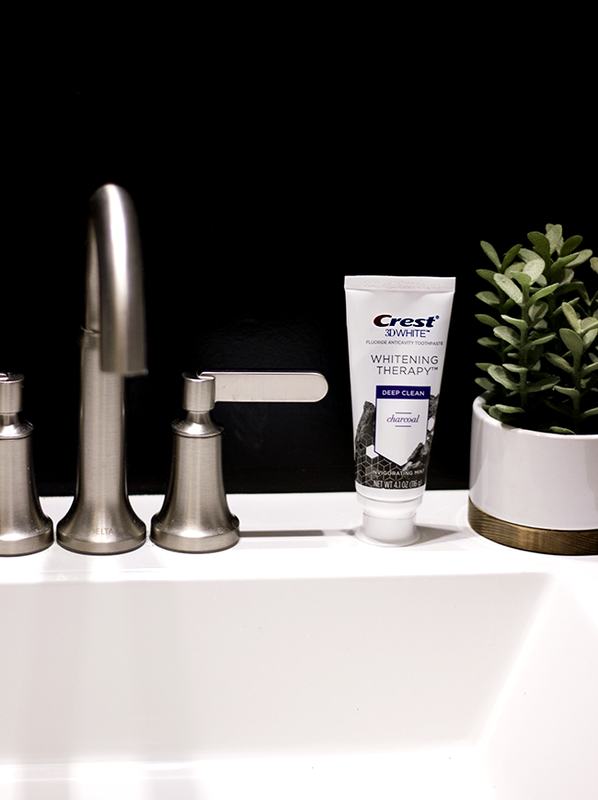 It took me less than a week brushing with Crest 3D White Whitening Therapy with Charcoal toothpaste to notice a difference, which is much less time than most other whitening toothpastes I’ve tried. 5. Charcoal can benefit the body beyond the mouth. Activated charcoal has benefits that go beyond just whitening teeth. It can even help with detoxing your digestive system by absorbing toxins. So cool, right? All of this said, there are some disadvantages to brushing with pure activated charcoal, like the mess I mentioned earlier, and the fact that it can be too abrasive on enamel when used straight. That’s why I choose (and my dentist recommends using) a toothpaste that contains charcoal instead. I am loving my Crest 3D White Whitening Therapy with Charcoal so much, and can’t wait to continue to see results with time. Just like regular charcoal, it whitens surface stains, but it actual strengthens enamel rather than weakening it, which is a huge bonus. Brushing with it is fun too! 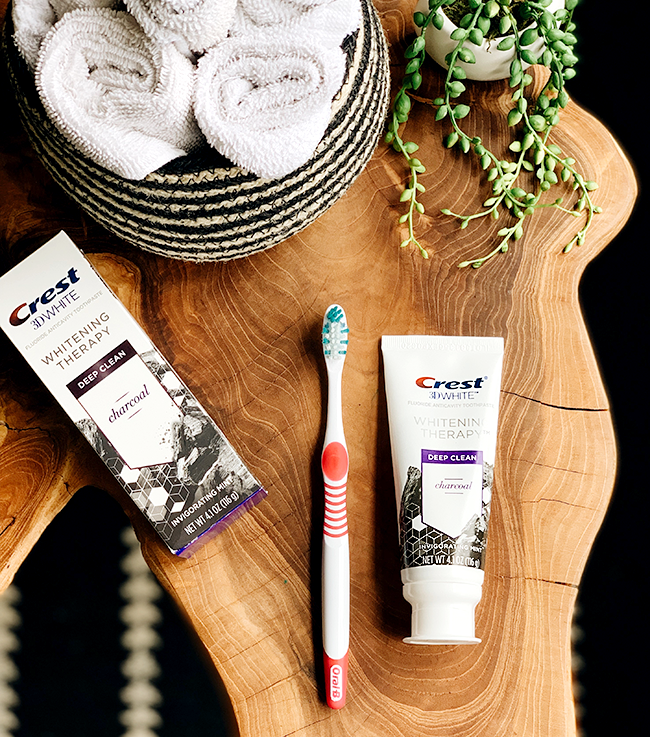 The charcoal ingredient creates a sparkly grey striped toothpaste that creates a grey foam that lightens when combined. That means no mess! The minty flavor tastes great and leaves my mouth feeling ultra clean too. I’m smitten. 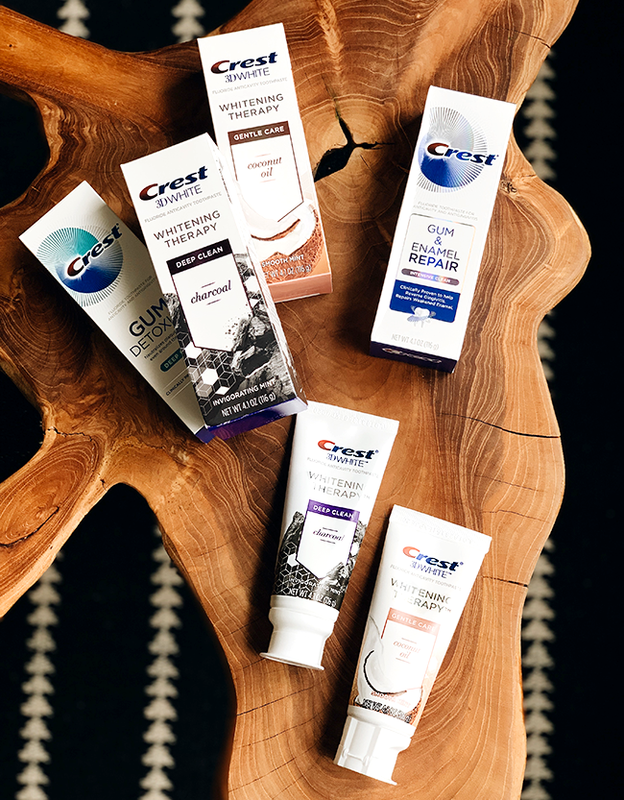 And while not a charcoal toothpaste, I also feel the need to mention another new toothpaste in Crest’s 3D White line that I have been loving: Crest 3D White Whitening Therapy with Coconut Oil. I use coconut oil throughout the day everyday, so I was really excited to try this. The vanilla mint flavor is everything, and it also does an incredible job removing surface stains to whiten teeth while strengthening enamel. These babies are my newest secret weapons in my dental health journey! I highly recommend heading to your local Walmart and picking up one of each. Then let me know what you think. Have any of you brushed your teeth with charcoal?